The consequences of climate change are not only isolated to environmental pressures on animals – us humans will be faced with backlash from our environments as well. Natural disasters such as floods and hurricanes seem to be occurring more frequently and with more damage inflicted than ever before. These disasters often result in sudden population movements, as people attempt to find safe areas or follow government evacuation instructions. Using cell phone records and geo-located tweets, Spanish researchers have now developed a system that tracks human displacement caused by climate change. 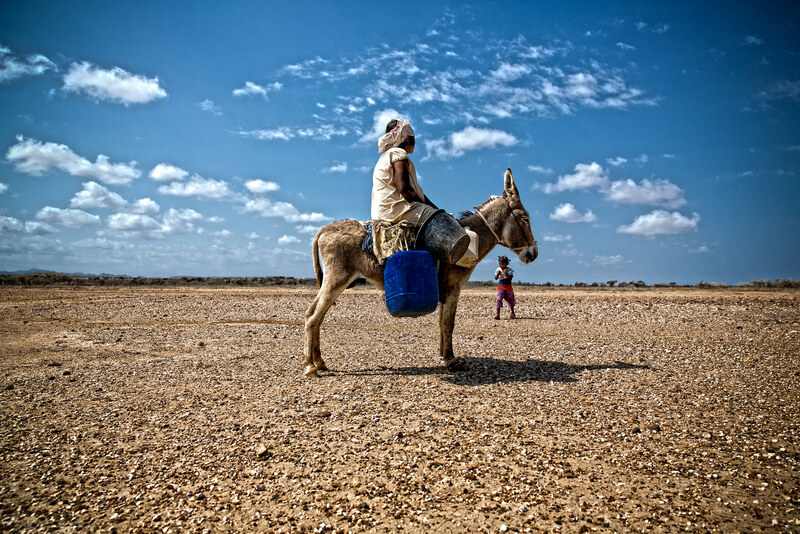 This model was tested during a severe drought in La Guajira, Colombia in 2014, and determined that – during the six months of study – 10 percent of the population migrated due to the drought. This system used aggregated and encrypted cell phone metadata in order to predict the migration and “to identify population flows in the municipalities of the area affected by the drought,” explains Enrique Frías-Martínez, a researcher at Telefónica Research in Madrid. In the study, the researchers have applied the smartphone migration tracking system to climate change for the first time ever. They added a variation to the old model based on considering the climate of the destination area as an addition to the concept of economic opportunity, helping predict the migrations caused by climate change. Their findings also show that the climate of the destination area plays a role in that decision. Patterns indicated that populations generally moved from rural areas to urban environments, which is likely due to urban areas having better economic prospects and proximity to food and water. “We have verified that, with cell phone traces, these migrations can be characterized with a success rate of over 60%, both in terms of the total number of people who migrate and the place where they move to,” says Frías-Martínez. Because these populations displacements are likely to increase as climate change continues, the ability to track population migration could be very useful. As the technology improves over time, it may help us better prepare for mass migrations during natural disasters.